Heavy rains and floods have forced thousands of people to leave from their homes to relief camps in Irrawaddy Region of Burma. The water level of the Irrawaddy River is several feet above its danger level flooding villages and temples along its banks. 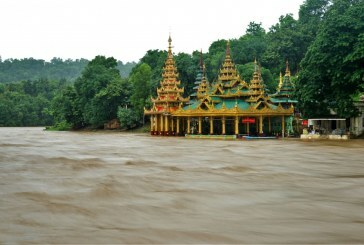 Flooding across large parts of Burma has displaced more than 100,000 people, causing two deaths, while dramatic riverbank erosion has washed away a Buddhist pagoda, officials, residents and state media said on Monday. One man drowned in the floods in the Sagaing region and another was swept away while crossing a stream in Chin State. 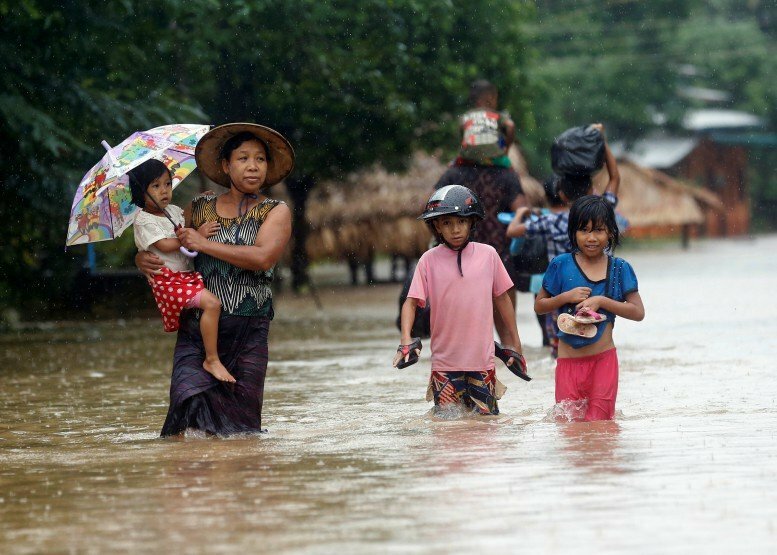 2 dead and 100000 displaced after apocalyptical floods in Burma. 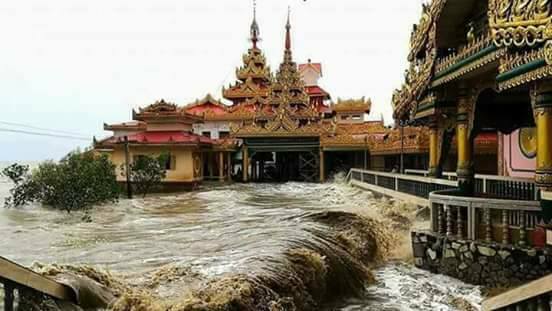 On Saturday, images of the Buddha’s footprint that draw pilgrims to a pagoda in Magwe Division were submerged by the rising waters, although no damage was immediately apparent. A small dam also collapsed in Pegu Division. In Rakhine State, roads and residential areas in Ann and Taungup townships were inundated with water up to five feet in some places as of Sunday. 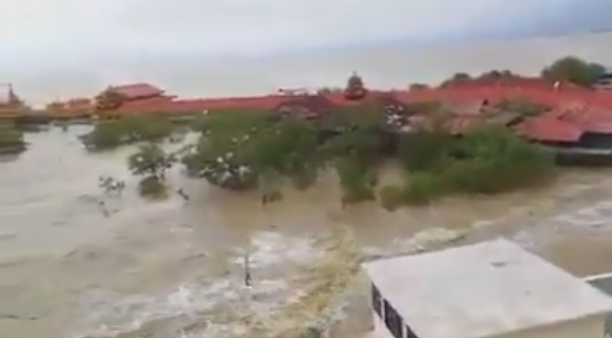 Video provided to Reuters by a Buddhist monk near Pakokku, 520 km (323 miles) north of the commercial hub of Rangoon, showed a gold-leaf-covered pagoda slipping into the raging waters of the Irrawaddy River on Thursday. Some riverside villages have been washed away entirely. The villagers are now scared to live here. The flooding has now decreased, but erosion continues. A meteorologist has warned of possible upcoming torrential rains in Myanmar due to a strong monsoon in the Bay of Bengal.